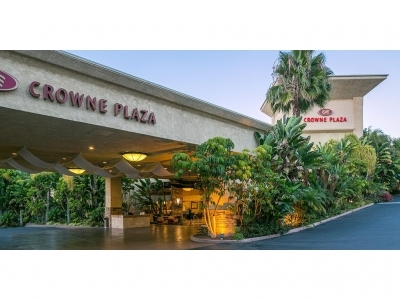 Crowne Plaza San Diego-Mission Valley is located minutes from popular San Diego attractions including SeaWorld, Balboa Park, San Diego Zoo, USS Midway Museum, Old Town and Gas Lamp district. Guests staying with us have easy access to Pacific Beach, Ocean Beach, La Jolla Shores Park, La Jolla Cove and Mission Bay Park to experience everything San Diego beaches have to offer. Our business travelers experience luxury accommodations featuring flexible work space, refrigerator and microwave and the convenience of our onsite bar and restaurant. 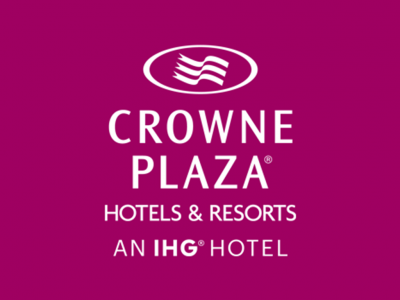 Centrally located to many area businesses including Scripps Mercy Hospital, Qualcomm Incorporated, Northrop Grumman, General Electric, BAE Systems, Raytheon, Accenture, IBM and AT&T make Crowne Plaza San Diego-Mission Valley the premier choice for San Diego corporate travelers. With 30,000 square feet of flexible meeting space, our resort style property features over ten acres of lush, tropical landscape. 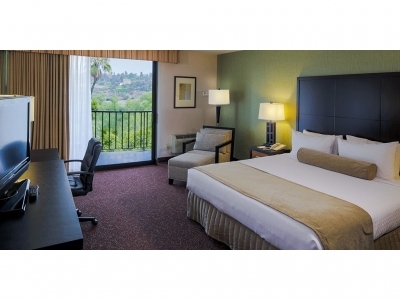 Our large outdoor pool and oversized spa in the central courtyard, waterfalls and koi ponds in guest atriums make the Crowne Plaza San Diego-Mission Valley the top choice for military reunions, corporate meetings, association gatherings and conventions. We are the proud host hotel of the fabulous Tiki Oasis as well as being a participating hotel for San Diego Comic Con and other major conventions held at the San Diego Convention Center.